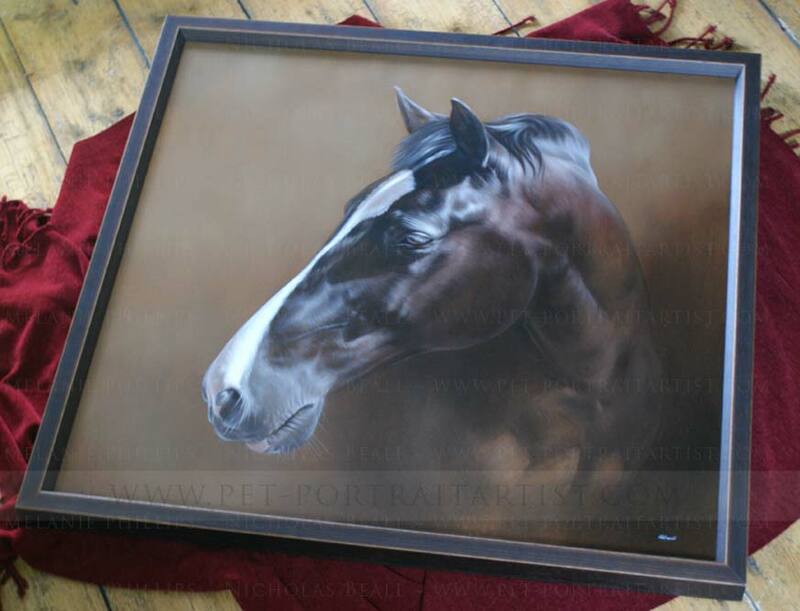 Nicola Hulland telephoned us in 2013 as she wanted to get a portrait of her stunning horse Billy painted who had sadly passed away at the great age is 25. 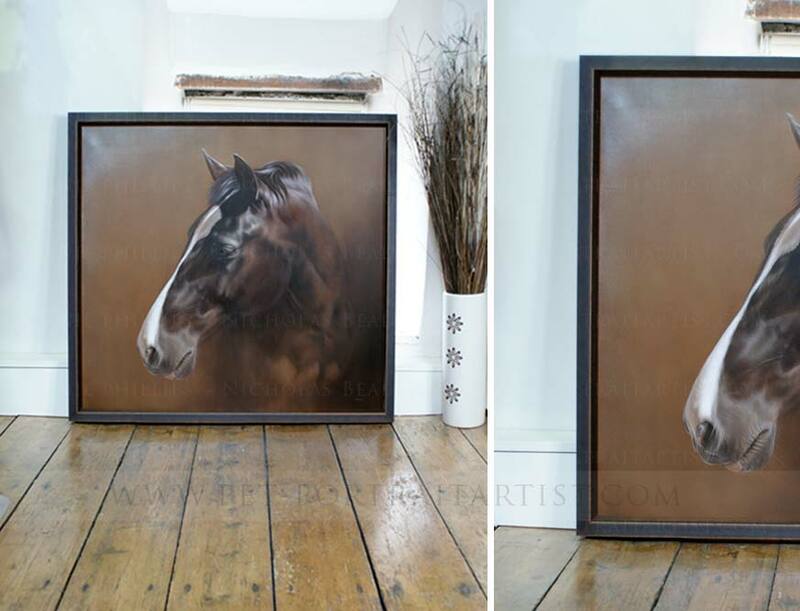 Nicola had always wanted to commission a horse portraits in oils on canvas and as soon as she found Nicholas' artwork online, she said that she knew she had found the right person for the job. Nicola had one main photo that she wanted us to use, it wasnt a very detaile dphoto but it was clear and a good pose which was just enough for Nicholas to work with. 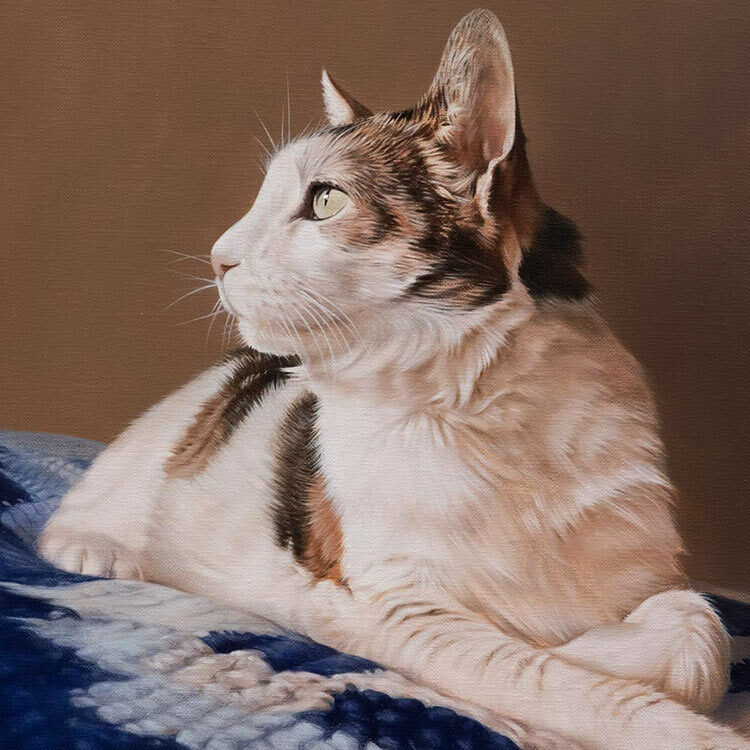 The portrait is large at 30 x 32 inches and I have added some photos below of the portrait when the painting was framed too. Since the portrait of Billy has been completed, Nicola has commissioned portraits of her dogs too, we love working with returing clients! Hope you are well. I am so excited to see Billy's painting. Not to worry if you can't scan it I'm sure the pictures will look amazing. It's amazing, Nicholas has captured him perfectly. No alteration necessary! 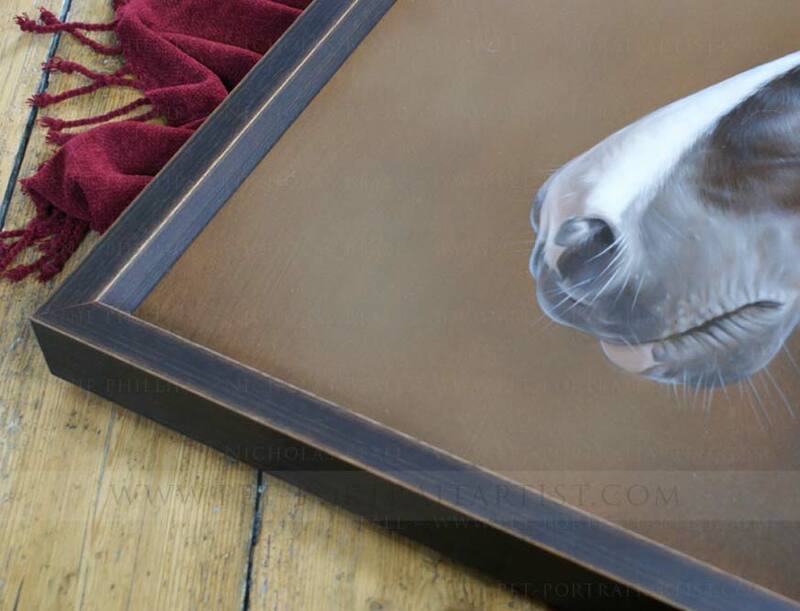 Nicola asked our framer if she would be able to frame Billy's portrait. Nicholas requested a thin frame which didn’t take the focus away from Billy. We have access to hundred of different types of frames so we are sure to be able to find something perfect for you. Just drop us a line at any time with your ideas. 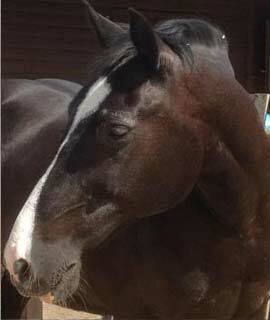 We hope that you have enjoyed viewing Billy's horse Portrait in Oils on Canvas and reading all about the commission and how Nicola took time out of her busy schedule to visit our studio to collect the portrait. 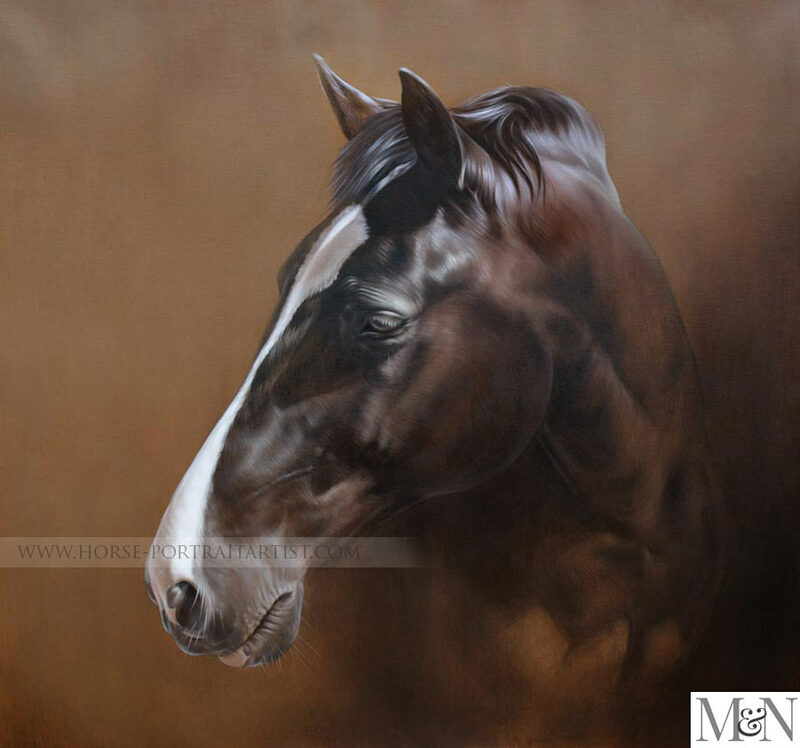 We would love to work with you on your oil portrait of your horse, just drop us a line by visiting our Horse portraits contact page.